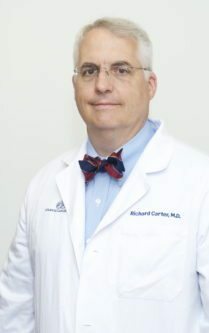 Dr. Carter is a board-certified hematologist and medical oncologist with expertise in treating solid tumors, blood cancers and hematologic disorders. He completed training in internal medicine and was a fellow in hematology and oncology at the Emory University School of Medicine. Dr. Carter previously served on faculty at Emory University’s Department of Hematology. Dr. Carter is a managing partner of Atlanta Cancer Care and he serves as the Chairman/President of the Atlanta Cancer Care Foundation. It is because of his role with the Atlanta Cancer Care Foundation that he has a deep interest in the growing problem of financial toxicity of cancer treatment. The problem has become acute due to increasing economic disparity among our patients combined with the exponential cost of treatment, especially oral medications, leaving the community’s most vulnerable with difficult decisions. Dr. Carter has served as co-principle investigator in clinical trials. Dr. Carter has authored numerous reports, articles and book chapters.